Finding America: Seattle Natives Identify Gentrification By Who's Riding The Bus As part of our "Finding America" series, two friends ride the bus through Seattle and talk about physical and demographic changes in their neighborhood. 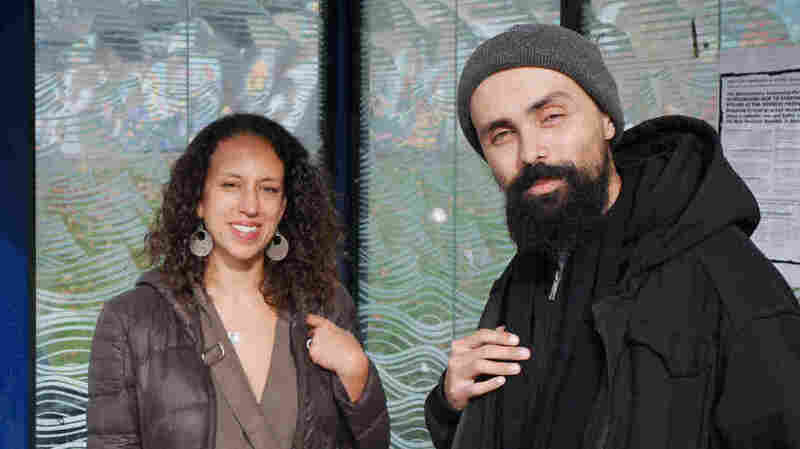 Carla Saulter and Gabriel Teodros are Seattle-born bus companions. When Donald Trump won the presidential election, he made a pledge to every citizen: that he would be president for all Americans. In the weeks before Trump's inauguration, we're going to hear about some of the communities that make up this nation, from the people who know them best, in our series Finding America. The No. 48 bus runs through the Central District of Seattle. This piece was produced by Mona Yeh and Yuko Kodama of Localore: Finding America, a national production of AIR, the Association of Independents in Radio. Find more stories at NPR and at Finding America. It's a historically black community that Carla Saulter and Gabriel Teodros know well. It's also a neighborhood that is gentrifying as Seattle has boomed in the past decade. During a ride on the 48, the two bus companions discussed the changes they've been seeing in their city. Saulter says riding the bus allows her to see how different parts of the city have changed physically and demographically. "The thing about the 48 is that it goes through so many different communities," Saulter says. "Of course, over time, the riders of the bus [have] changed, and that's one of the ways you can really see, just viscerally feel, the changes in the community, is that who's riding the bus is so different now than it was even 10 years ago."